MOVE-IN READY 3bdrm/2 full bath home in Start up. Remodeled features incl. new easy care laminate flooring, new paint, lighting, hardware, sinks, bthrm towel bars, faucets and more! Master with walk-in closet and a spacious master bath. Washer/dryer and all appliances included. Mountain view deck, private fenced in yard, 2 car parking. Close to bus line. 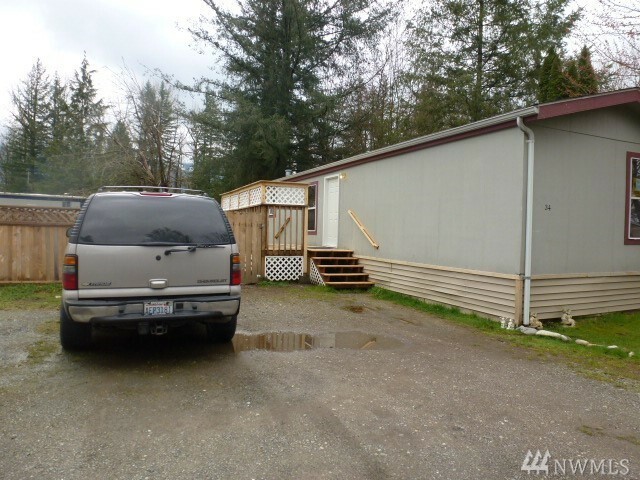 Located in Wallace River Park with access to beach area. Space rent $700/No age restrictions. Subject to park tenant screening. Cash out.